Promises Campaign builds accountability and awareness of not participating in underage drinking. This campaign is promoted during Prom and Graduation seasons for high school students. 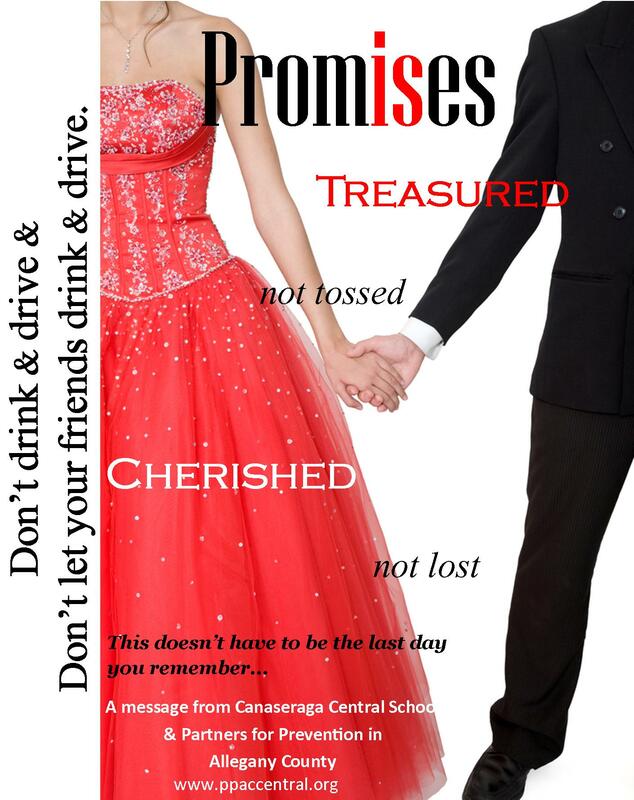 The Promises Campaign was developed by students at Belfast Central School to help keep their friends and family safe on Prom Night. Parents and community members, as well as alcohol retailers promise to not provide or sell alcohol to minors. Youth make a promise to attend only alcohol-free events and to not drink and drive or get in a car with someone who has been drinking and driving. Belfast Central School District are participating with a week of fun activities, assemblies! Sheriff Rich Whitney and Coalition Coordinator Jon Chaffee have participated in the after party cooking food and participating in the activities with the teens. A whole new tradition is being created right before our eyes! A whole new commitment has been promised to help keep teens safe so they can have memories to last a lifetime, safe and alcohol and drug free.